Probably the most colourful of the Lush Christmas items, Luxury Lush Pud will definitely catch your eye when you walk into a Lush shop. 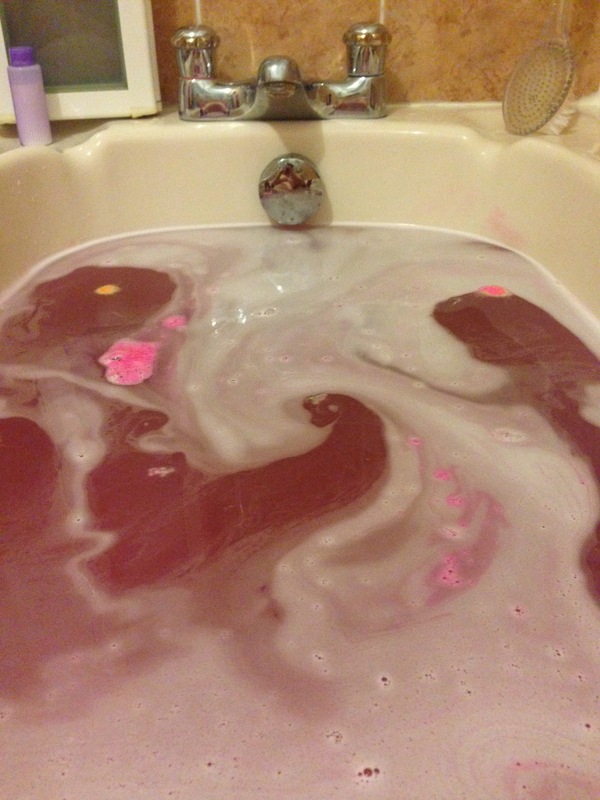 From what I remember, last year the main colour of this bath bomb was purple. I love that this year they have changed it so the main colour is a gorgeous hot pink. I think it really sets off the white top and multicoloured polka dots. As you can see the pink portion has transferred onto the white part at the top, but you can still see the cute little holly spring on the top. 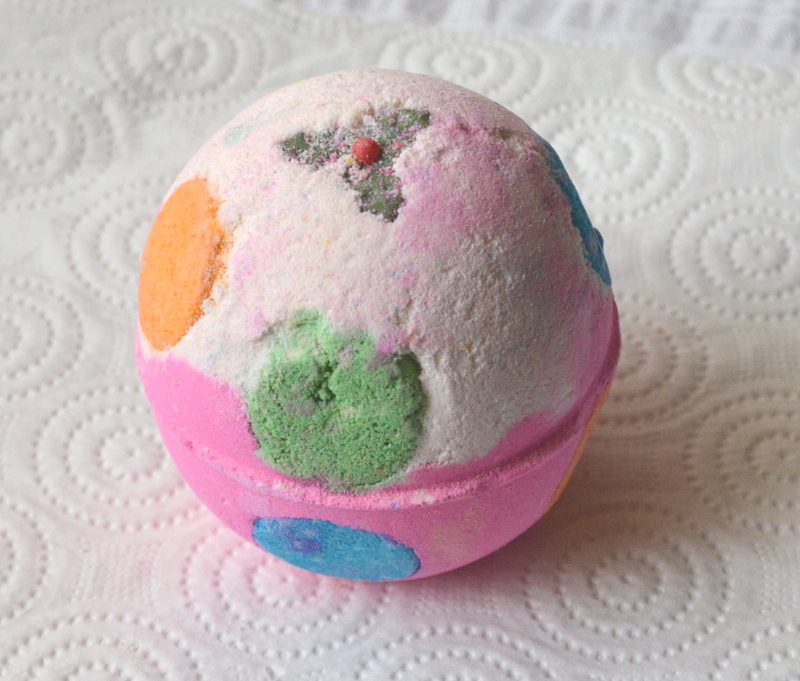 Luxury Lush Pud shares its fragrance with the permanent bath bomb called Twilight. It is filled with relaxing Lavender Oil, warming Benzoin Resinoid, sweet Ylang Yang oil and Tonka Absolute. It is great for those days when you want to relax before going to bed, especially if you have had a long day at work – or you have been Christmas shopping all day! All of the colours on Luxury Lush Pud swirl together to create beautiful patterns in the bath – I almost did’t want to get in a ruin it – and then when you get in they mix together and the bath water turns a relaxing shade of purple. 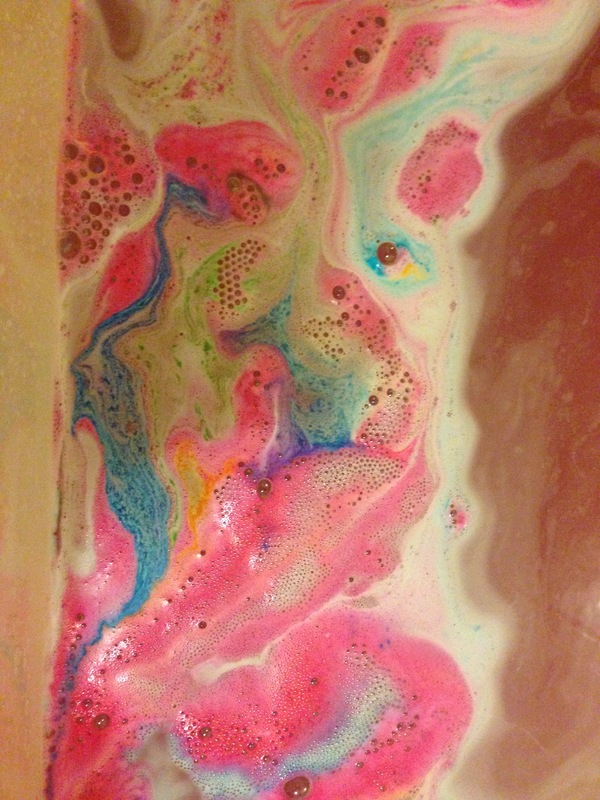 I really enjoyed using this bath bomb and will definitely be purchasing another – it is just so pretty. Luxury Lush Pud is priced at £3.50 and is available here. I can’t wait to have a lush christmas splurge.